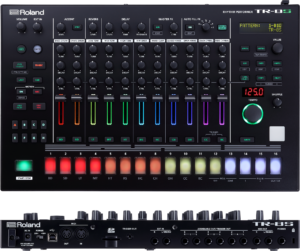 News : Roland launches TR-8S, Classic rhythm performer with a sampler. 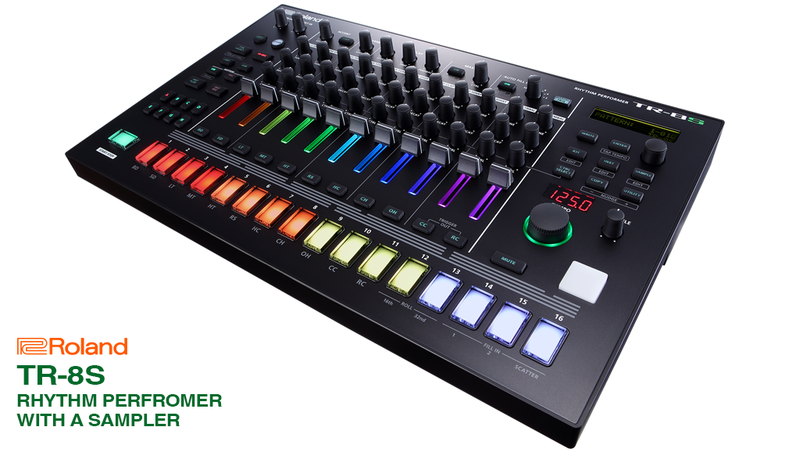 Roland have announced a brand new flagship drum machine: the TR-8S Rhythm Performer. Instead of just offering 808 and 909 sounds, the new TR-8S includes sounds from the iconic 808, 909, 707, 727, and 606 drum machines, as well as several modified versions. The Roland TR-8S Rhythm Performer combines Analog Circuit Modeling with sample support for more sonic versatility than ever before. Create your own custom kits and patterns with any combination of ACB drum sounds and your own samples imported from SD card. Sound-shaping tools are quickly available on the front panel of the TR-8S, too, including decay, tuning, and per-channel percussion-tuned effects. Master FX, meanwhile, can be applied to the entire kit, as with the original TR-8. The TR-8S also provides a colour-coding function, letting you easily group sounds visually — something that will come in handy for live applications. The TR-8S allows you to keep one pattern playing while you program a different one, allowing you to construct arrangements on the fly without losing the groove. Each pattern stores the kit, knob positions, effect settings, and tempo, and will be instantly recalled when you select that pattern. A perfect piece of equipment for the new age electronic music performer.